I’m now back in full force from an amazing analytics experience at the Alteryx Inspire conference in Las Vegas. The week was packed with learning, inspiration, and community – things I adore and am honored to be a part of. Despite the awesome nature of the event, I have to admit I’m happy to be home and keeping up with my workout routine. So here goes the “how” of this week’s Workout Wednesday week 23. Specifications and backstory can be found on Andy’s blog here. 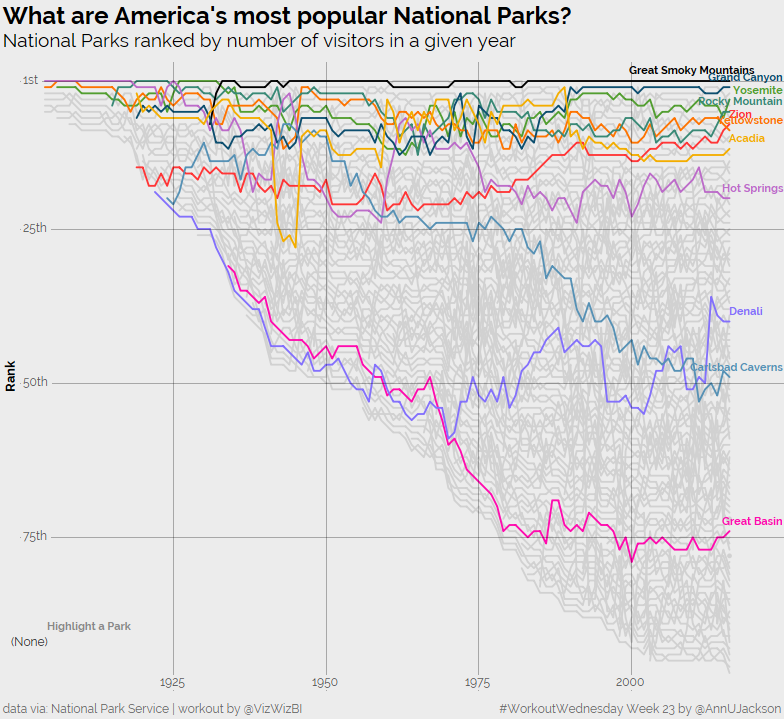 Describing this is pretty straight for – index (rank) each park by the descending sum of recreation visitors every year. Once you’ve got that setup, flipping the Y-axis to reversed will get you to the basic layout you’re trying to achieve. Now – the grid lines and the y-axis header. Perhaps I’ve been at this game too long, but anytime I notice custom grid lines I immediately think of reference lines. 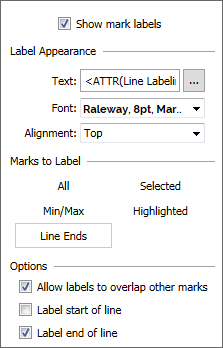 Adding constant reference lines gives ultimate flexibility in what they’re labelled with and how they’re displayed. So each of the rank grid lines are reference lines. 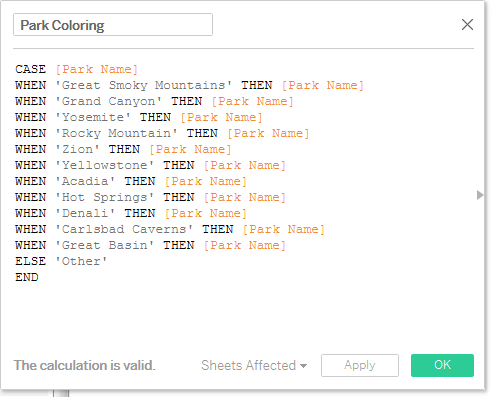 You can add the ‘Rank’ header to the axis by creating an ad-hoc calculation of a text string called ‘Rank.’ A quick note on this: if you add dimensions and measures to your sheet be prepared to double check and modify your table calculations. Sometimes dimensions get incorporated when it wasn’t intended. 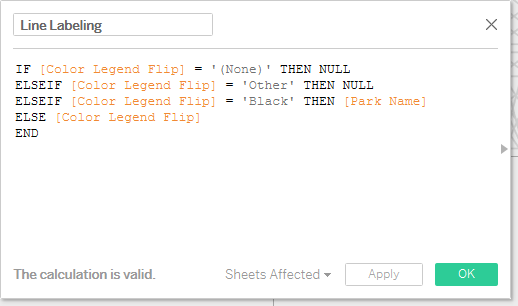 And then I set a calculation to dynamically flip between the two calculations depending on what the parameter was set to. Looking back on this: I didn’t need the third calculation, it’s exactly the same functionality as the second one. In fact as I write this, I tested it using the second calculation only and it functions just fine. I think the over-build speaks to my thought process. Here’s the last bit of logic to get the labels on the lines. 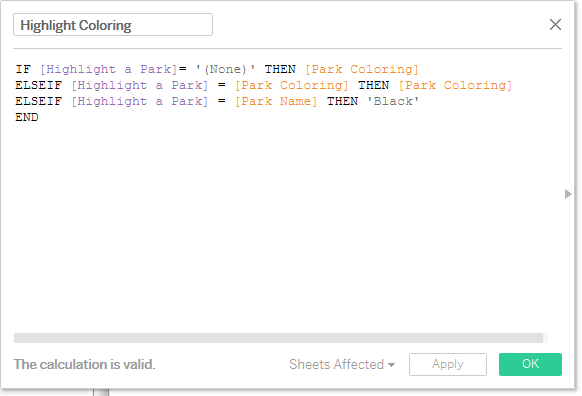 Essentially I know we’re going to want to label the end point and because of functionality I’m going to have to require all labels to be visible and determine which ones actually have values for the label. 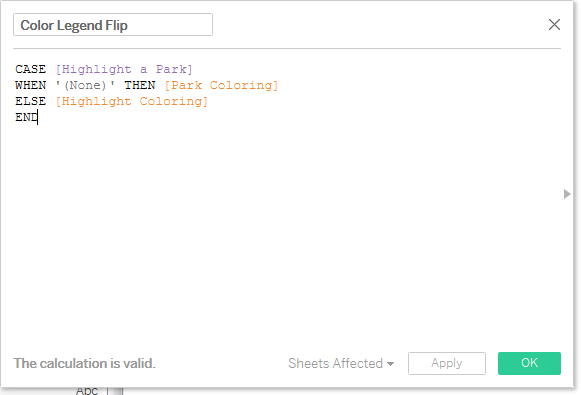 PS: I’m really happy to use that match color functionality on this viz. That wraps up the build for this week’s workout with the last components being to add in additional components to the tooltip and to stylize. A great workout that demonstrates the compelling nature of interactive visualization and the always compelling bump chart. 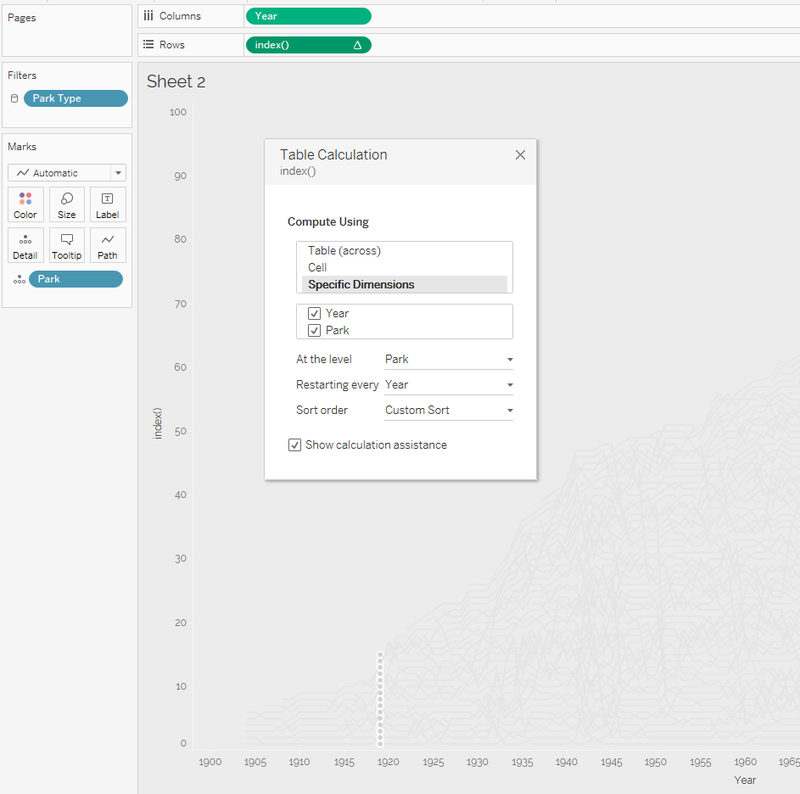 Interact with the full visualization here on my Tableau Public. Nice work and really good explanations!